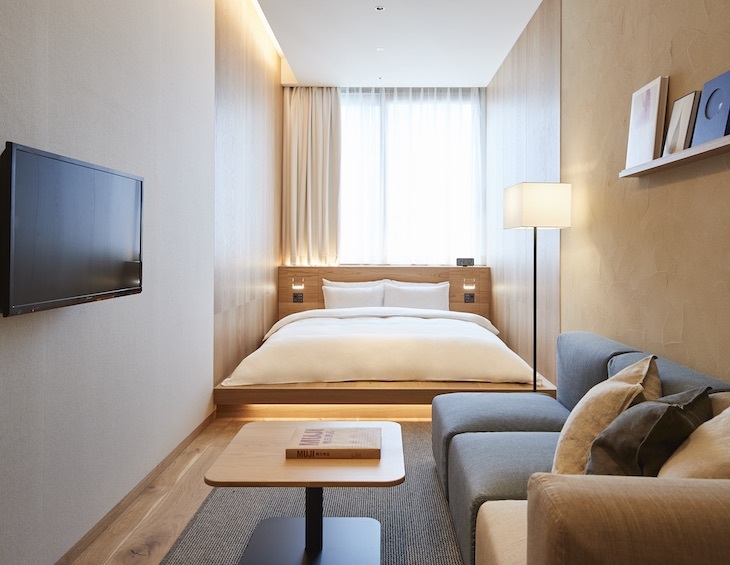 With the 2020 Olympics and Paralympics in Tokyo approaching, hotel design in Japan, with its tech-savy attitude, is enjoying somewhat of a moment. 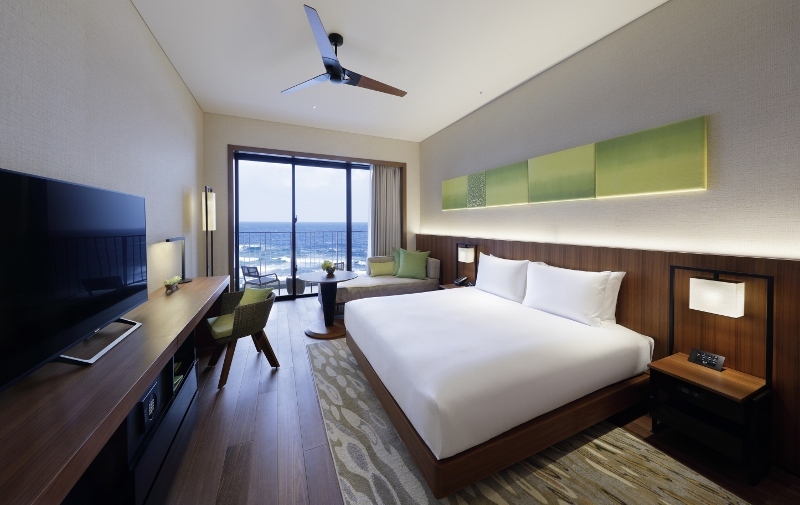 The latest hotel brand to debut in the country is Hyatt Beach Resort, which has just announced the opening of Hyatt Regency Seragaki Island Okinawa. 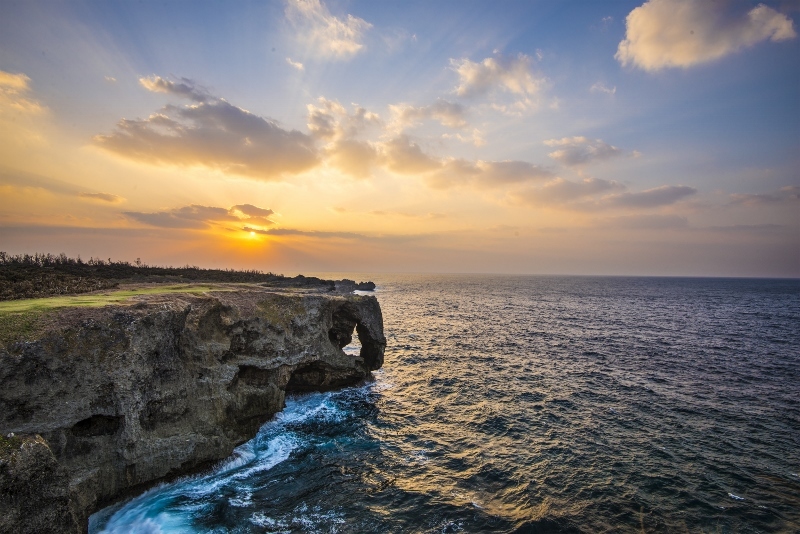 Located on the private Seragaki Island and linked by a bridge to the main island of Okinawa, the hotel offers a stunning view of the East China Sea from all 344 guestrooms. An immersive destination hotel, Hyatt Regency Seragaki Island Okinawa blends local culture, warm hospitality and thoughtful service, enabling guests to feel refreshed and reconnected to who and what matters to them most. The breezy, light-filled interiors by Tokyo-based, Hashimoto Yukio Design Studio draw from the hotel’s idyllic waterfront surroundings and the rich traditions of Okinawan culture to create intuitive spaces where guests can connect and recharge. All guestrooms feature mesmerising views sf the crystal clear waters. There are 320 guestrooms housed in a seven-floor building on Seragaki Island, including 71 Regency Club rooms and 16 suites which come with unique privileges such as dedicated check-in and check-out and use of a private lounge. Hyatt Regency Seragaki Island Okinawa is home to six dining outlets, offering delicious comfort food alongside breathtaking scenery. The Hyatt Regency brand than 180 conveniently located Hyatt Regency urban and resort locations in over 30 countries around the world, which serve as the go-to gathering space for every occasion – from efficient business meetings to memorable family vacations. The 98 room hotel will be designed by Antonio Citterio Patricia Viel. Real estate giant Mitsui Fudosan Co. Ltd has inked inked an agreement to open Japan’s first Bvlgari Hotel in the large-scale, mixed-use development planned for the Tokyo Station area. Bvlgari Hotel Tokyo is scheduled to open at the end of 2022 and will occupy the top seven floors, 39th – 45th, of an ultra-skyscraper planned for construction in the Yaesu 2-Chome North District Category-I Urban Redevelopment Project. As with other Bvlgari sites the hotel will be designed by the Italian architectural firm Antonio Citterio Patricia Viel and will be located within walking distance of the Imperial Palace and the shopping areas of both Nihombashi and Ginza. Its proximity to the Tokyo Station and the financial districts of Nihombashi and Marunouchi will make it attractive for business use too. 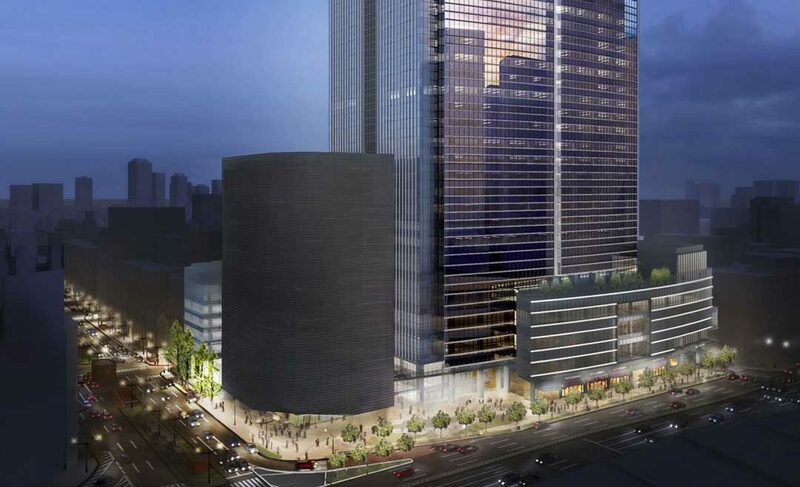 In addition to the Bvlgari hotel, the tower will also be a high grade mixed-use with offices and retails. 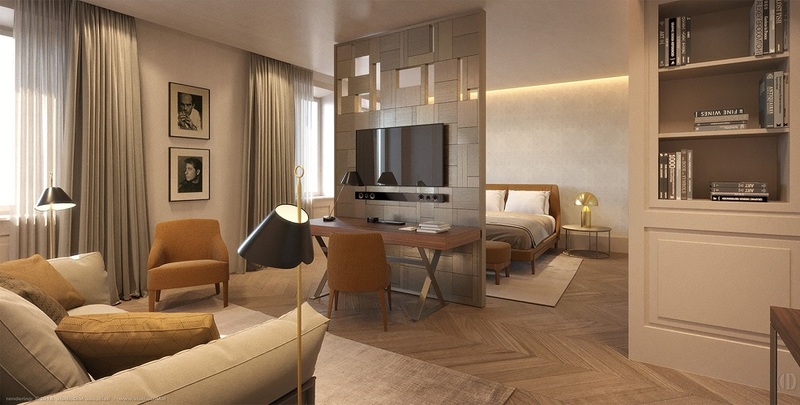 The hotel will offer 98 guest rooms in a variety of configurations, mainly twin and double rooms, as well as luxury suites and an ‘extraordinary’ Bvlgari Suite. The usual Bvlgari features such as Il Bar, Il Ristorante and the fireplace Lounge will all be available for the hotel guests, together with Il Cioccolato store, and a Ballroom including a large outdoor space. 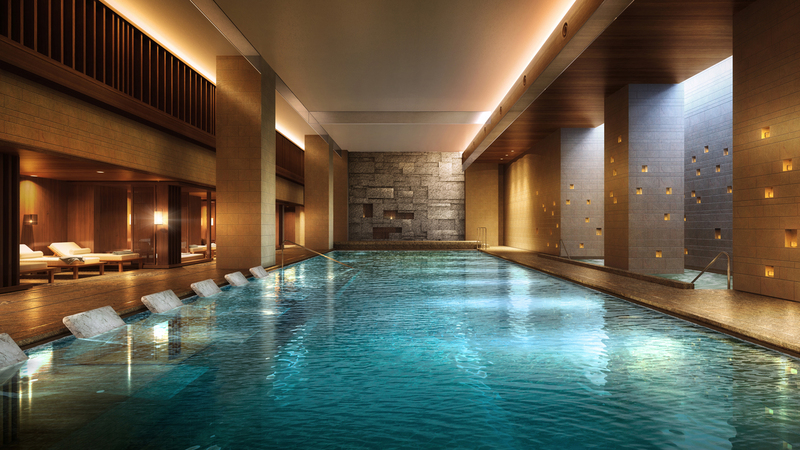 A 1,500 sqm Bvlgari Spa will include a state-of-the-art fitness centre and 25-metre indoor pool. The Bvlgari Hotels and Resorts portfolio currently includes properties in Milan, London, Bali, Beijing and Dubai. New openings are planned in 2018 in Shanghai and in 2020 in Moscow and Paris. 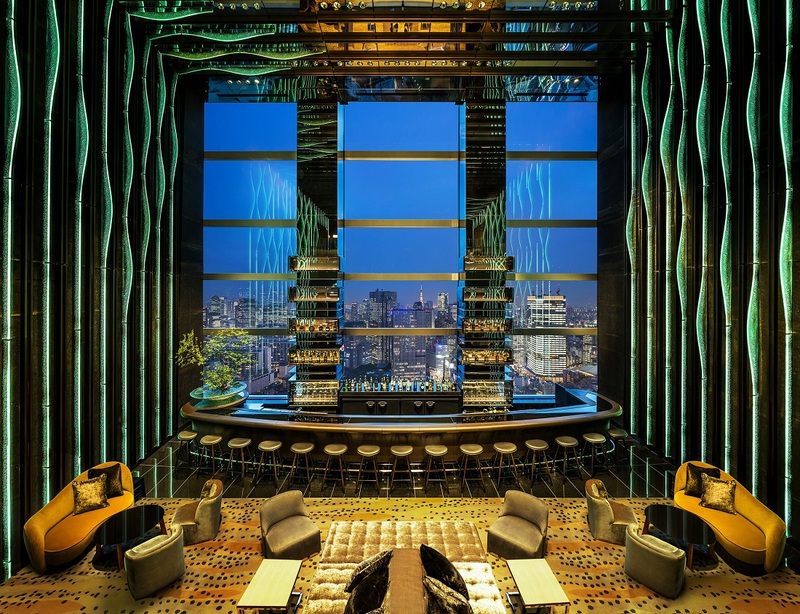 Bvlgari Hotel Tokyo will be its ninth property and the first to open in Japan. Architect Kengo Kuma will seek to blend old and new Japan. Ace Hotel Group has partnered with NTT Urban Development Corporation to design and build the Ace Hotel Kyoto, a new cultural hub that will be part of the ShinPuhKan redevelopment. Designed in part by architect Kengo Kuma, Ace Hotel Kyoto will open in Winter 2019 in an area with a industrial and imperial legacy. The firm says Kuma’s designs will blend new with old, incorporating renovations of the historic building — erected in the mid 1920s as the Kyoto Central Telephone Office — into the new build. Kuma is known for his work in Japan and abroad, including the Asakusa Culture and Tourism Center in Tokyo, the Nagasaki Prefectural Art Museum and the forthcoming Olympic Stadium for the Tokyo 2020 Games. His designs tend to embrace natural materials and light, and create spaces for interaction and comfort. 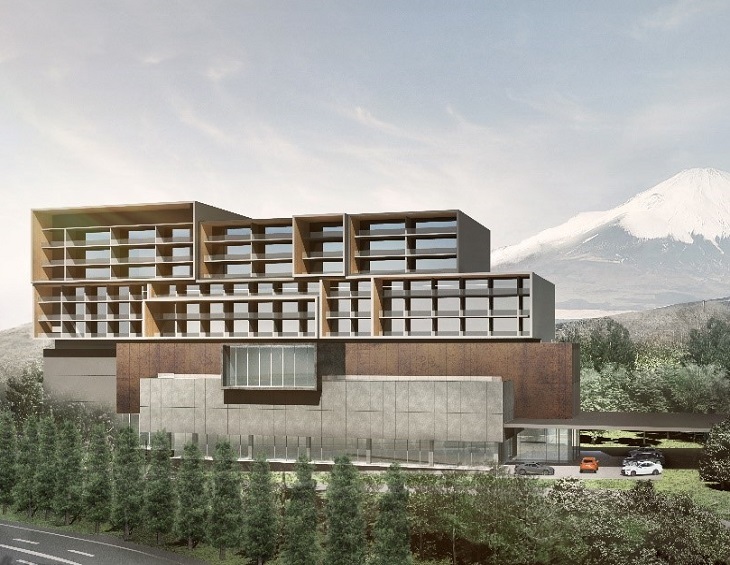 “The thought was to create a hotel that is connected to Kyoto and open to the surrounding area,” said Kuma. “To begin with, the proposition was to create a dense garden where communities, as well as the past and the present, are connected to this venerable land with its various gardens, which have existed since the Heian period. The existing Kyoto central telephone office building was designed by one of the great Japanese modern architects, Tetsuro Yoshida. Through the central courtyard, the red brick building will converse and create a new harmony with a wooden grid system that reminisces traditional Kyoto. 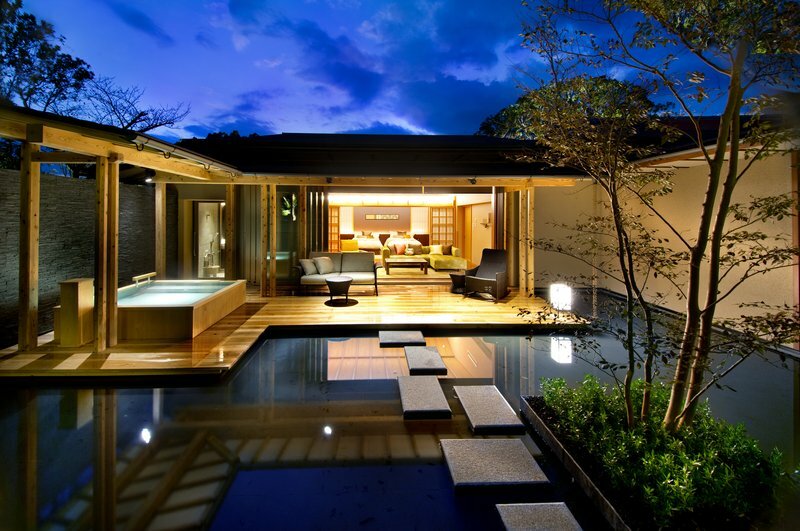 The Luxury Collection has signed IRAPH SUI, a luxury hotel in Okinawa, Japan. 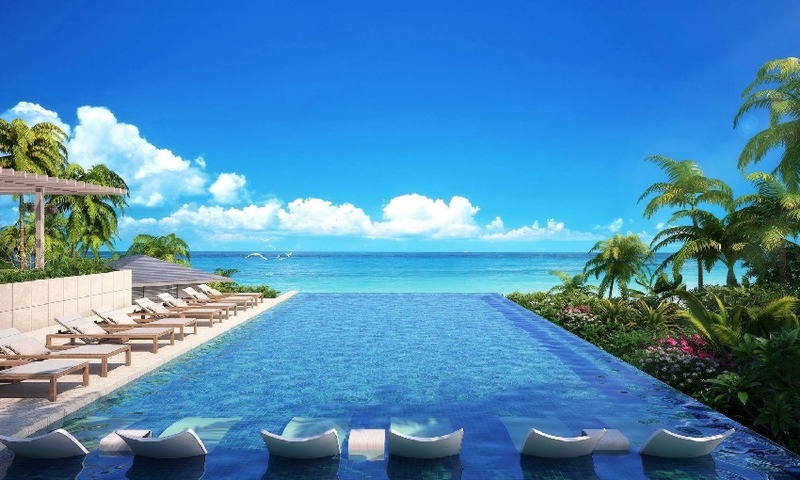 Owned by The Mori Trust Group and slated to open in late 2018, the new island resort will be will be located in the city of Miyakojima, in Okinawa Prefecture and will be the third Luxury Collection hotel in Japan. The new Luxury Collection resort will be located on an elevated headland on the southwestern coastline of Irabu, a small island in the Miyako Island group, where its 57 guest rooms will enjoy stunning sea views. In addition to nine suites with private plunge pools, the resort will also feature 10 luxurious Junior suites and one Executive suite. Amenities will include a 72-foot outdoor swimming pool, a state-of-the-art fitness center and spa. IRAPH SUI will also feature an all-day restaurant, a relaxing pool bar and beach club. 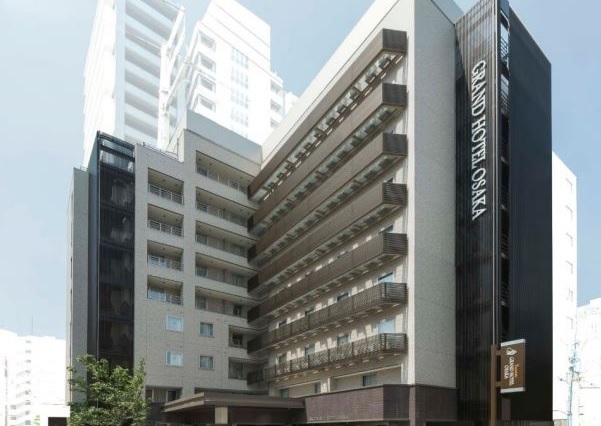 Established property and hospitality group with an AsiaPacific focus, Roxy-Pacific Holdings, has announced the acquisition of its second hotel asset in Japan, Tenmabashi Grand Hotel Osaka. Launched in May 2017, the 154-room Tenmabashi Grand Hotel Osaka is an 8-minute walk away from Tenjibashi shopping street – the longest shopping street in Japan. Nearby tourist hotspots include the Osaka Tenmangu Shrine, Osaka Castle Park, as well as the famous Cherry Blossoms at the Osaka Mint Bureau. 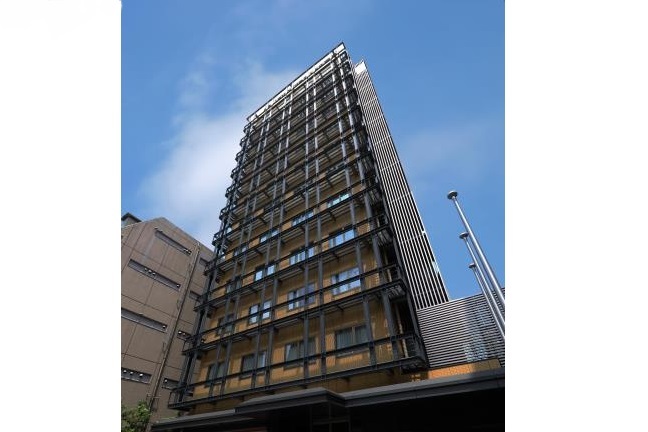 The 9-storey hotel comprising 3,672-square-metres of total floor area will, upon completion of the acquisition in October 2017, be self-managed by the Group’s Noku Roxy hospitality management arm, which currently operates a boutique hotel in Kyoto, Japan – Noku Kyoto. Through its furnishings and curated list of attractions and F&B offerings in the vicinity, the Noku Roxy brand aims to showcase the best version of the city, as well as hidden gems only visited by the locals. Attention to detail and personalised experiences also create a differentiated stay for guests. Osaka received a record number of foreign visitors in 2016 exceeding 9.4 million, representing a 31% hike from 20152. The city also boasts one of the highest hotel occupancy rates of any major city in Japan. 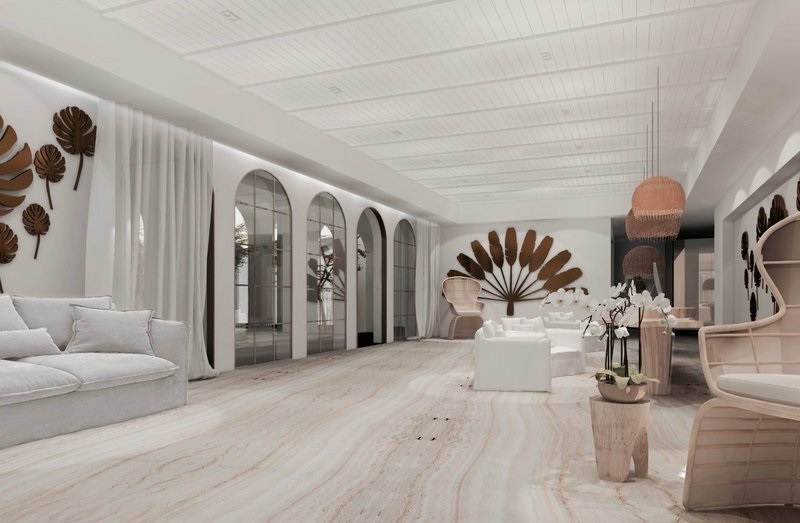 Amongst the Noku Roxy hospitality brand asset pipeline includes a 50-villa resort in Maldives, and a separate resort in the Chalong sub-district of Phuket, Thailand, planned for launch in the last quarter of 2017 and 2019, respectively. This May Small Luxury Hotels of the World is welcoming five new luxury properties to its portfolio. Introducing a brand new eco-certified hotel in Cap Corsica, a newly opened palazzo turned boutique retreat in Rome, a serene forest dwelling in Izu, Japan and a sophisticated retreat wrapped up in bright botanic gardens in Puerto Vallarta. Due to open in June 2017, set in 35 hectares of natural parks and gardens, Le Domaine Misincu will be the only five-star rated environmentally friendly and eco-certified luxury boutique hotel in the region of Cap Corsica. Highly protected, savage and unspoilt in natural beauty, Cap Corse is the last remaining “wild” part of the island and therefore nicknamed as “the island on the island” which sets its history apart from the rest of the island. Aiming for Corsican modern luxury living at its best, Le Domaine Misincu is an epitomised “barefoot casual luxury” experience with a holistic approach. Contemporary yet traditional in style, the hotel pays homage to Corsican heritage and the outstanding beauty of its natural surroundings coupled with 21st century amenities for today’s luxury leisure travellers. Whether it is the vast range of local products in the F&B outlets, Corsican fabrics, materials and woods to be used for anything interior design or the fleet of Tesla cars available for guests, any stay here is to reflect an authentic Cap Corse experience. Found amidst blooming grounds of tropical flora, the adult-only hotel and ocean club, Casa Velas, sets the scene for a perfect romantic seaside escape. The 80 suites offer guests a private piece of luxury in the botanic gardens and the wooden beams and furniture and earthy tones are inspired by traditional Mexican designs. The hotel is just minutes from the beach, an 18-hole golf course and the buzzing boardwalk of Puerto Vallarta. The treatments at Casa Velas Spa draw on ancient wisdom and local ingredients, with treatment rooms for couples and singles, a hydrotherapy area and beauty salon. 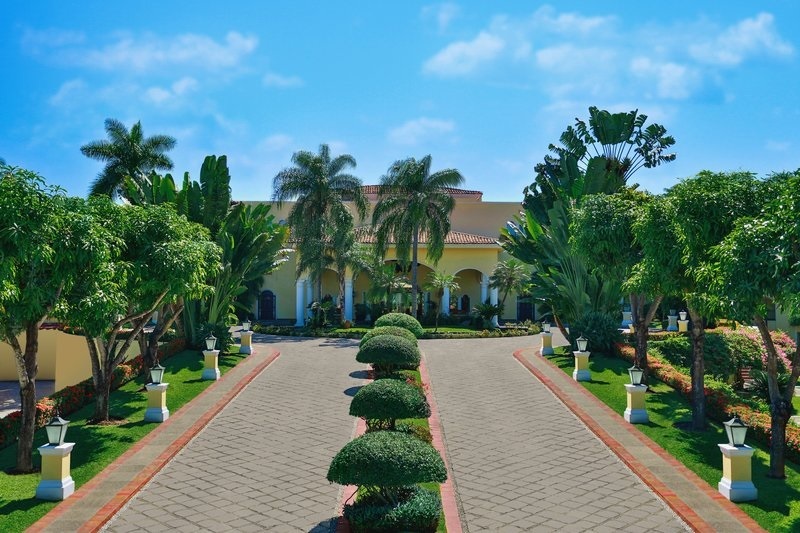 The on-site restaurant, Emiliano, is an AAA Four Diamond rated a la carte fine dining restaurant, headed up by one of the area’s leading chefs, serving Mexican and international cuisine. Alternatively guests can opt to take a short stroll to the Ocean Club for Asian-inspired cuisine and cocktails on the beachfront. This brand new Roman boutique hotel will open its doors on July 1 2017. Tucked away on Via Margutta – known locally as ‘the artist’s street’ thanks to famous prior residents such as Picasso and Stravinsky, this elegant palazzo has been given a modern make over. Despite its city location Margutta 19 provides a chic and restful escape, away from the buzz of Rome. The 16 rooms have been styled in gentle shades of sage and ivory, with parquet floors, travertine marble bathrooms, king size beds and Frette linens. Classic and deluxe suites overlook the cobbled Via Margutta and its terracotta buildings, while the Garden Suite comes with its own 43 square metre terrace. Restaurant Assaggia is courtesy of angelo Troiani who serves his own inventive spin on Roman classics, including recipes handed down through generations of the hotel owner’s family. Situated on the stunning Jogasaki coast, ABBA resorts Izu is an intimate, 30 room retreat, featuring an indulgent Neen-spa and three world-class restaurants serving French and Japanese fare. Built in the ryokan style of a traditional inn, the luxurious Abba Resorts Izu, blends seamlessly into its ancient forest backdrop. The resort’s natural garden was created from diverse lava formations and the villas come with their own open-air bath, filled with warm, soothing mineral waters flowing in from the Ukiyama Hot Springs that Izu is known for. The rooms are designed to calm and soothe, with woven tatami straw mats and other natural touches in abundance. This 200 year old family run, fully working farm-come-luxury boutique retreat (main picture) seamlessly blends contemporary scandi-style décor with vintage homestead touches. Every element of the hotel celebrates its Alentejo surroundings. Guests can wander the grounds, take a seat in the wooden deck chairs amongst the orange grove, stroll through the wine and vegetable garden, take a dip in the pool or pack up a picnic and cycle to the estates lake. 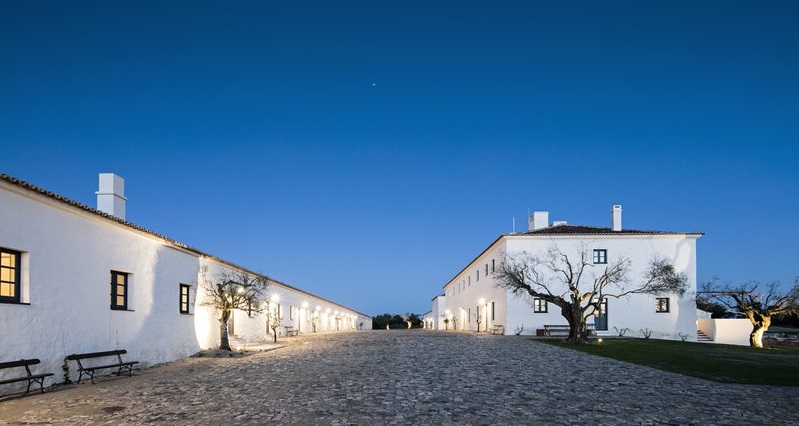 At night guests are invited to enjoy farm-to-table dining at the onsite restaurant, where classic Alentejo flavours are served up using home grown and locally sourced produce alongside the winemakers selection from the onsite vineyard. The 40 rooms, suites and cottages are a tasteful mix of old and new, with white fabrics, wool blankets, carefully selected vintage features and farm views. Certain suites and cottages also come with a private terrace, perfect for star-gazing. A spa by organic Austrian brand Susanne Kaufmann, features an oak wood hot tub and an outdoor pool, as well as a variety of treatments. Best Western Hotels & Resorts will soon offer travellers to Tokyo another exciting place to stay, with the opening of Best Western Tokyo Nishikasai Grande on April 1, 2017. The hotel’s 105 rooms – all of which are non-smoking – come in a range of configurations for all types of guest. These include triple rooms, allowing families visiting Tokyo Disneyland to stay together before they catch the complimentary shuttle bus to the theme park’s main entrance. 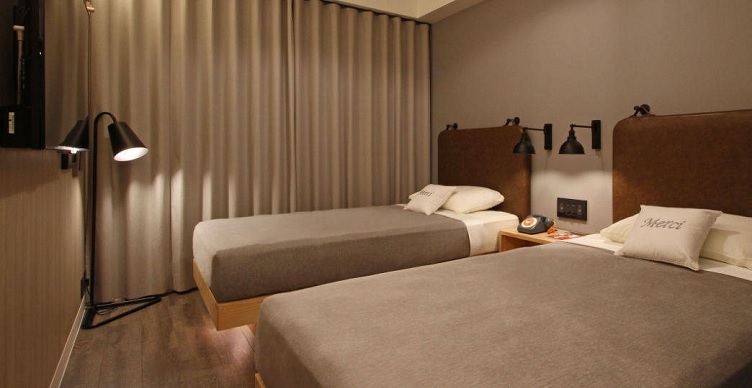 All rooms also feature international power sockets, USB ports, flat-screen TVs and free Wi-Fi, allowing business travelers to stay connected and leisure visitors to keep in touch with home, including those all-important social media updates. Corporate guests can use the 24-hour business centre, and all guests will enjoy the exquisite Japanese and international cuisines served at the hotel’s restaurant, which is open for breakfast, lunch and dinner. And visitors wishing to explore the local area will discover a shopping mall and many local restaurants, some of them open 24 hours. Traveling to and from airport is easy too, with buses and trains connecting swiftly toNarita International Airport. “Japan is one of Best Western’s most important markets, and we are delighted to offer guests yet another excellent hotel in the vibrant capital city, Tokyo,” said Olivier Berrivin, Best Western’s Managing Director of International Operations – Asia. 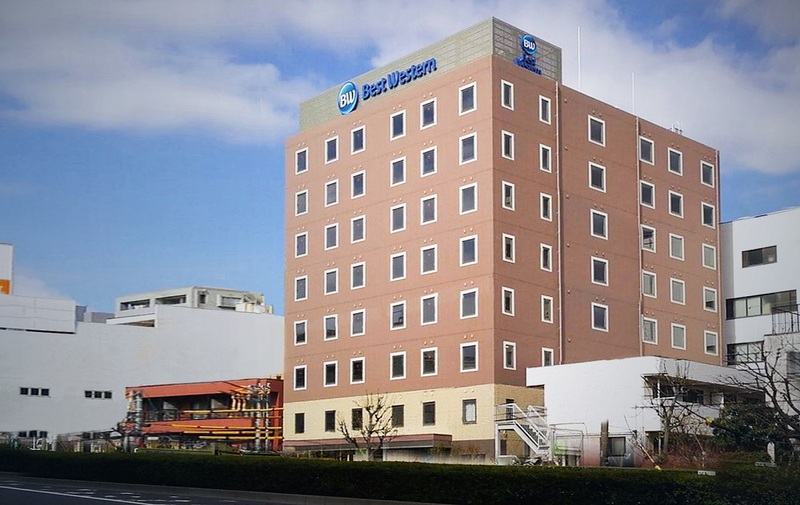 Best Western Tokyo Nishikasai Grande becomes the company’s third hotel in the Japanese capital city, joining Best Western Rembrandt Hotel Tokyo Machida and Best Western Tokyo Nishikasai, which is located just five minutes away from the new hotel. 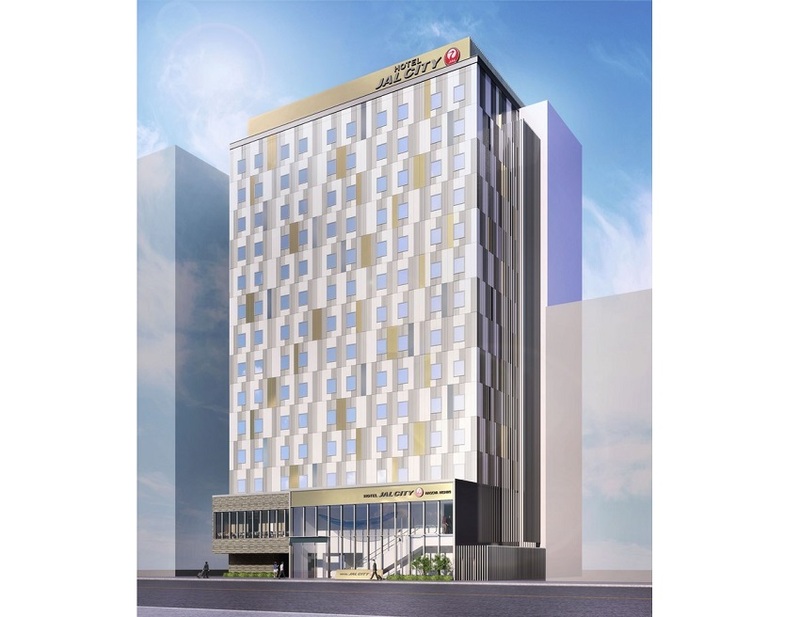 Okura Nikko Hotel Management has announced that it will open Hotel JAL City Nagoya Nishiki, the Okura Nikko Hotel’s first property in Nagoya, Japan. The company signed a contract with Enuwan LLC to operate and manage the hotel on January 31. The 14-storey Hotel JAL City Nagoya Nishiki will offer 216 guest rooms and a choice of queen or Hollywood twin beds. Rooms will average 26 square metres of floor space (ranging between 20m2 and 28m2) with separate shower and bathtub. The hotel will offer modern, convenient and highly functional accommodations. Hotel JAL City Nagoya Nishiki will be a lifestyle hotel targeted at energetic travelers between their late-20s and early-40s. It will place a special emphasis on satisfying demanding needs, including with a food-and-beverage facility that flexibly offers buffet, open-kitchen and bar options all day long. 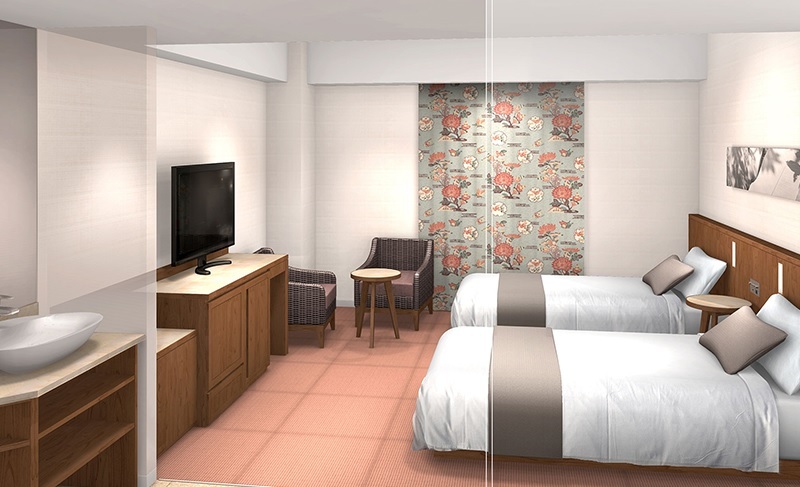 InterContinental Hotels Group has announced the opening of Holiday Inn Osaka Namba. This is the fifth Holiday Inn hotel in the brand family in Japan, joining others in Sapporo, Sendai, Kanazawa and Miyazaki. The 314-room Holiday Inn Osaka Namba is located in the heart of Osaka. With the government’s focus on increasing annual international visitor arrival numbers to 40 million by the 2020 Tokyo Olympic and Paralympic Games, Japan’s capital city and outlying regions are set to benefit from the tourism boom. First established in 2006, IHG ANA Hotels Group Japan, a joint venture between IHG and ANA Holdings, is the largest international hotel company in Japan operating a total of 33 hotels across IHG’s three international brands: InterContinental, Crowne Plaza and Holiday Inn – supported by the strength of the local ANA brand. 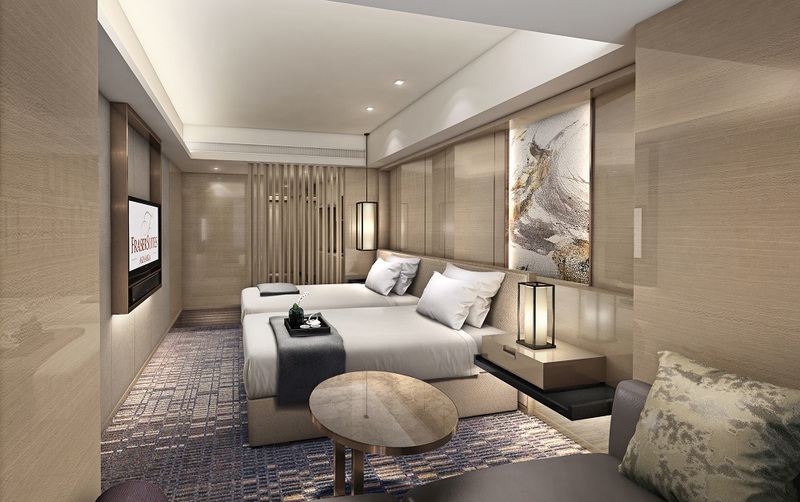 There are currently three IHG branded hotels in Osaka – InterContinental Osaka, ANA Crowne Plaza Osaka and Holiday Inn Osaka Namba, catering to both domestic and international guests. There are currently 1,199 Holiday Inn® hotels open across the globe, with a further 269 hotels due to open in the next three to five years*. Across the Asia, Middle East and Africa (AMEA) region, there are 90 Holiday Inn hotels open and 49 hotels in the pipeline. 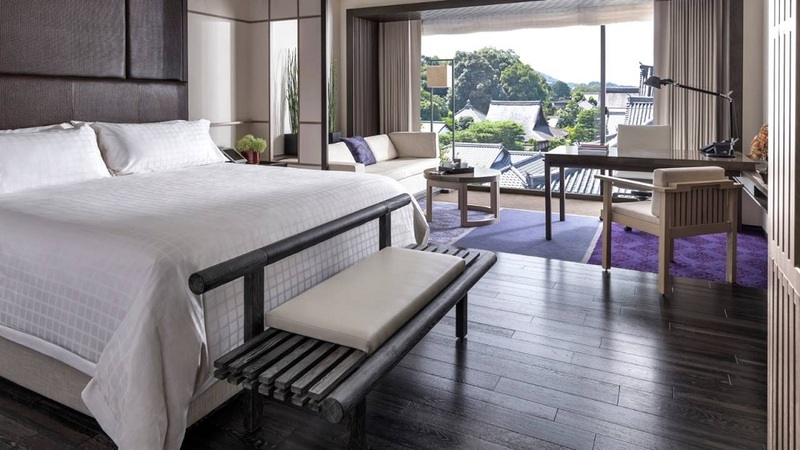 In the shadow of Higashiyama Mountain in the temple district of Japan’s ancient capital, Four Seasons Kyoto has opened. “Kyoto is one of the world’s most alluring cities, but she can be shy in revealing her secrets – our mission at Four Seasons is to help our guests discover her wonders and experience all the city has to offer,” says General Manager Alex Porteous, who leads the 270-person team at the intimate hotel with 123 rooms and 57 residences. Guest rooms – including 13 suites – are designed by Hirsch Bedner Associates to showcase views of the pond garden, Myoho-in Temple and surrounding neighbourhood. Traditional elements such as shoji panels, polished woods, locally crafted Kyoto-style fusuma screens and urushilacquerware are paired with modern at-one’s-fingertips technologies. Selected accommodations, including the lavishly appointed Presidential Suite, also have balconies. At 245 square metres indoors plus additional furnished outdoors space, the Presidential Suite is one of Kyoto’s largest. All guest rooms and suites feature the signature Four Seasons Bed. 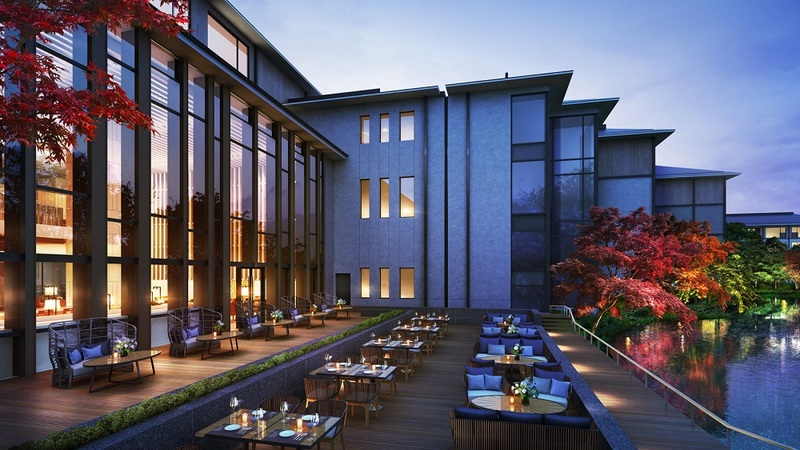 The new Four Seasons Hotel Kyoto is the sister property of Four Seasons Hotel Tokyo at Marunouchi, suggesting an opportunity for travellers to experience the ancient and modern capitals of Japan in Four Seasons style. The company recently announced plans for a third hotel in Japan, in Tokyo’s Otemachi business district. 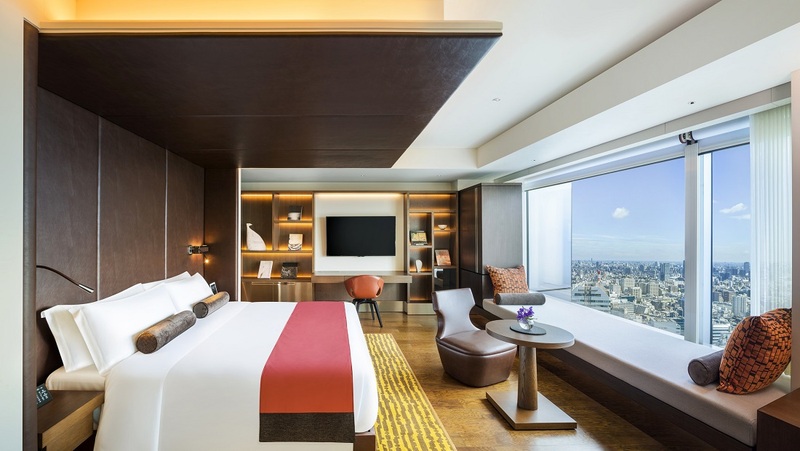 The Luxury Collection Hotels & Resorts, part of Starwood Hotels & Resorts Worldwide, has announced the opening of The Prince Gallery Tokyo Kioicho, a Luxury Collection Hotel, marking Starwood’s first-ever luxury hotel in Japan’s capital city. Managed by Prince Hotels, the distinguished property is situated in the prestigious Kioicho neighbourhood, with interiors by Rockwell Group Europe, and the hotel is the second property part of The Luxury Collection brand to open in Japan, following the debut of Suiran, a Luxury Collection Hotel, in Kyoto last year. For unrivalled dining experiences, the hotel features four unique restaurants and bars, including Oasis Garden, an all-day dining venue with a sky garden setting; Washouku Souten, a Japanese restaurant with a contemporary dining room, sake bar, teppanyaki area, sushi counter and private dining room; Levita Sky Gallery Lounge, a sophisticated lounge serving tea, light snacks and cocktails and illumiid THE BAR, asignaturebar located on the 35th floor distinguished by floor-to-ceiling glass windows. Other facilities include the Kioi spa and fitness centre, operated by Swiss Perfection, which offers a large indoor pool, spa treatments, a sauna, and personal training, as well as a state-of-the-art business centre. The adjacent Akasaka Prince Classic House, a western-style building completed in 1930 and the former residence of the last crown prince of Korea, is now home to La Maison Kioi, a modern French bistro; and the cosy Bar Napoleon. Preserving the historical ambience with a modern twist, Akasaka Prince Classic House also offers almost 3,000 square feet of an elegant banquet hall that can accommodate up to 140 guests. 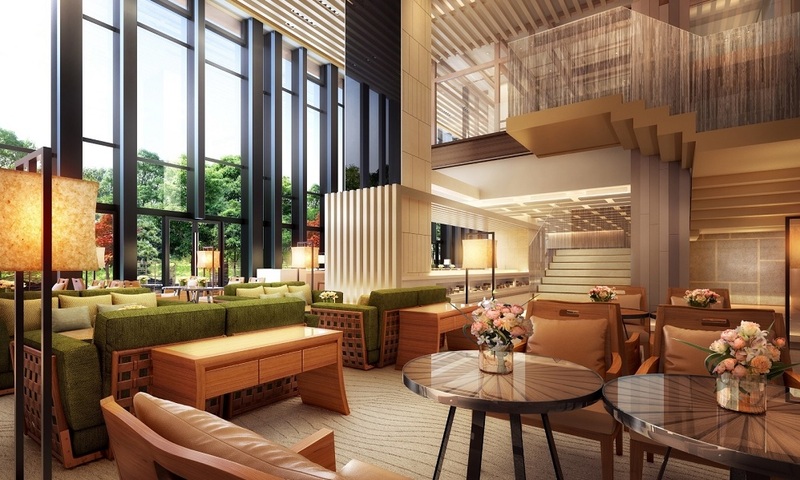 Frasers Hospitality Group has announced a collaboration with Japan’s leading property and real estate developer, Sekisui House, Ltd to open Fraser Suites Tokyo. Redeveloped from an existing 4-storey commercial building, Fraser Suites Tokyo will be a 23-storey building comprising 223-unit premier Gold-standard serviced residence. The leading real estate developer in Japan, Sekisui House is involved in local and international housing developments, comprehensive urban commercial projects and mixed-use developments. Sekisui House is no stranger to hospitality properties, having collaborated with international hotel brands to launch Ritz Carlton and St Regis in Kyoto and Osaka respectively. With a strong focus and emphasis on environmental sustainability, Sekisui House is a front-runner in incorporating environmental technologies into their developments and the upcoming Fraser Suites Tokyo will be no exception. Befitting of the Fraser Suites brand, world-renowned Hirsch Bedner Associates have been appointed interior designers of Fraser Suites Tokyo. The interior design will embody touches of sophistication and understated elegance with evident traditional Japanese accents highlighted throughout the property. Fraser Suites Tokyo offers a selection of spacious and luxurious studio apartments and one-bedroom apartments, ranging 35sqm to 60sqm. Each fully-serviced residence will feature living, dining, and bedroom areas furnished with international quality fittings. A wide comprehensive range of lifestyle facilities provided will include a fully-equipped 24-hour gymnasium, a golf simulator, an alfresco dining restaurant with beer garden and a 140sqm conference and meeting facility. Also available is the signature Retreat, where one can rest and relax amidst a tranquil setting. Frasers Hospitality Group’s global portfolio, including those in the pipeline, stands at 139 properties and more than 80 cities and 22,800 keys worldwide. 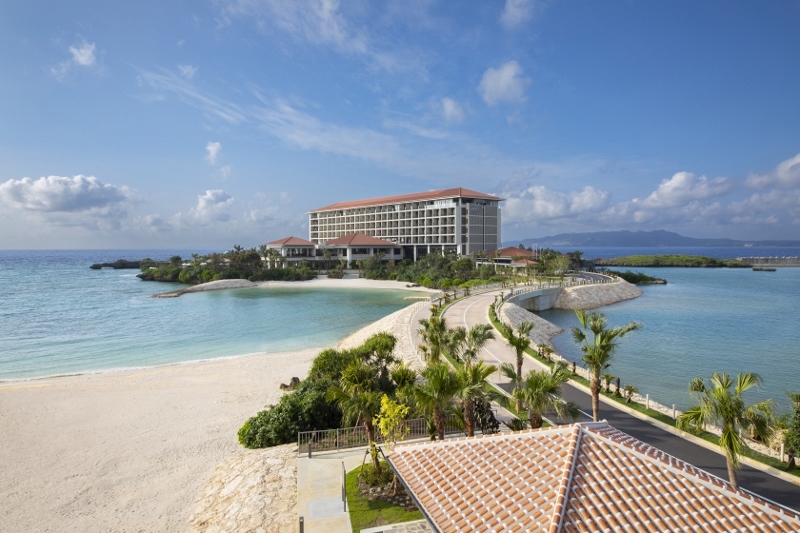 Japanese hotelier Fujita Kanko has opened a new hotel in Okinawa. Hotel Gracery Naha’s building and facility design was carried out by Shimizu Corporation, while interior design was by age co. Located on Kokusai-dori, in Okinawa’s downtown area, the newly built 198-room hotel is a 15-minute drive from Naha Airport. The hotel design is said to reflect Okinawa’s ocean. There is a one-of-a-kind “Churaumi Room” that has a high-tech video projection of local underwater footage, including marine species such as manta rays and whale sharks, on its wall. It incorporates touch-video functionality so that touching the wall activates the ocean and fish. 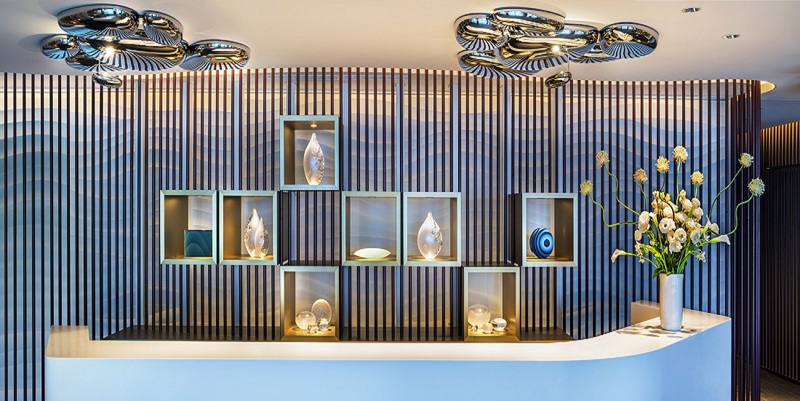 The hotel’s entrance area also has a similar visual effect that gives the impression of guests walking on water. Guestrooms all have separate toilets and bathrooms. Hotel Gracery Naha is the fifth property in the Hotel Gracery group, following the 2015 opening of Hotel Gracery Shinjuku, a Godzilla-themed hotel in Tokyo. Next, Fujita Kanko plans to open Hotel Gracery Kyoto Sanjo in July. 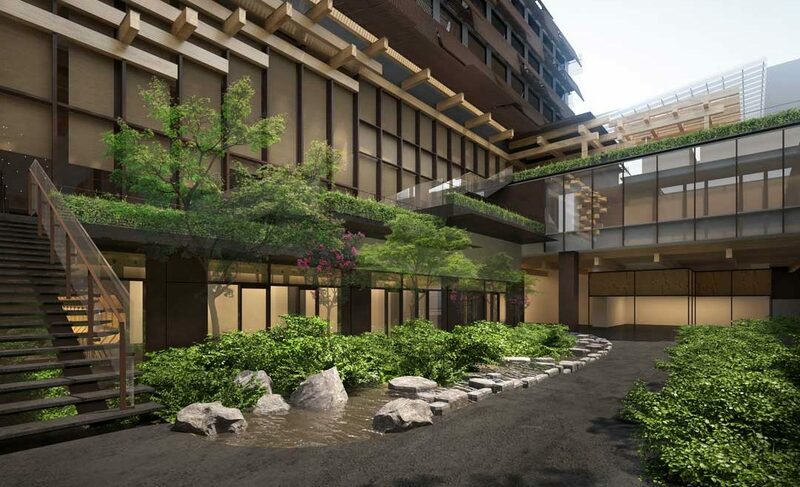 Set in an 800-year-old traditional garden in Japan’s historic imperial capital, Four Seasons Hotel Kyoto is now accepting reservations in anticipation of its opening in the autumn of 2016. 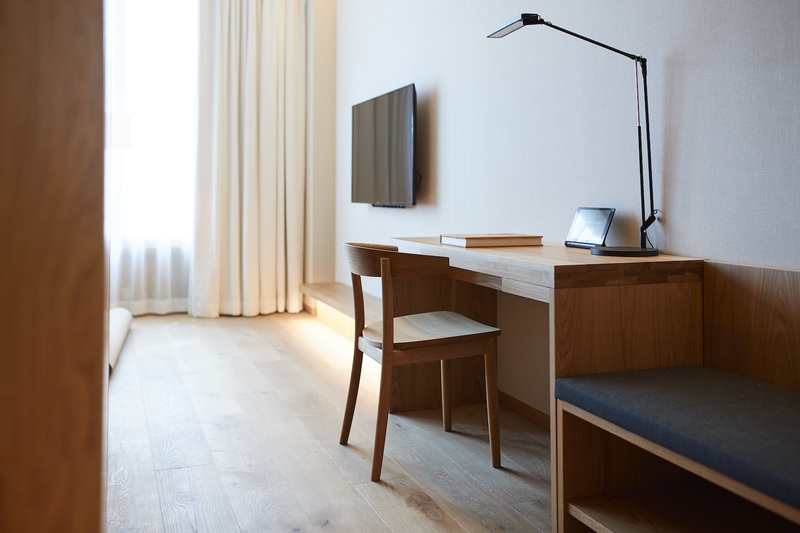 The all-new hotel is enviably located at the foot of Higashiyama Mountain in the city’s temple district with numerous historic landmarks surrounding it, plus minutes-away access to Kyoto’s tech industries, creative arts and leading educational institutions. Known for its four distinct seasons and the natural beauty that unfolds year round, the city attracts visitors from across the region and around the globe. “Kyoto is one of the world’s most alluring cities, but she can be shy in revealing her secrets – our mission at Four Seasons is to help our guests discover her wonders and experience all the city has to offer,” says General Manager Alex Porteous, who has returned to Japan to open the brand’s second location in addition to the acclaimed Four Seasons Hotel Tokyo at Marunouchi. The light-filled Hotel affords breath-taking views in every direction, from the neighbouring Kiyomizu-dera Temple to its own five acre (two hectare) pond and gardens. Inside, guests will find 123 guest rooms and suites plus 57 residences decorated in traditionally-inspired yet contemporary style by Hirsch Bedner Associates. Four dining options include an exclusive sushi restaurant, a modern brasserie, lounge and a lovely garden tea house. An intimate spa is adjacent to a shimmering indoor pool. Destined to become Kyoto’s preferred address for glamorous weddings, social occasions and prestigious business functions, the Hotel’s flexible event spaces include an exquisite, one-of-a-kind chapel.